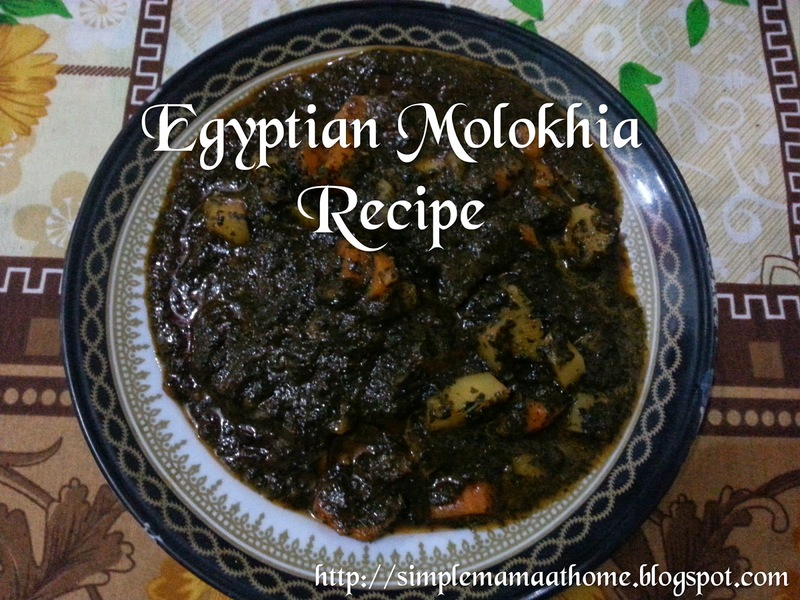 Molokhia is a dark leafy green plant that looks similar to spinach however it tastes nothing like it. Molokhia has a unique texture of being very slimy when cooked. While it is popular throughout the middle east, it is most popular in Egypt where it first originated. It is available fresh, dried, or frozen in middle eastern stores. Each country has its own way of method of preparing this recipe. The following method is how Egyptian molokhia is prepared. 2. Add chopped garlic to oil and heat for only a few minutes, until there is an aroma of garlic. 3. Add tomato paste, water, salt, and pepper. Stir well. Cook until tomato sauce begins to thicken and is no longer watery. 4. Add molokhia and stir. Cook for about 5 minutes. Then add in soup. Stir well for one minute. 5. Serve with pita bread. I've never heard of this before. I will have to keep my eye out for it at our middle eastern market.